Like most major tech companies these days, Facebook is putting plenty of resources into developing its AI capabilities. That has included the launch of its own AI-based assistant, called M, back in 2015, as well as the acquisition of AI chatbot startup Ozlo to power bots on Messenger. It has also developed FBLearner, its machine learning engine, which it used to identify posts with language expressing suicidal thoughts. 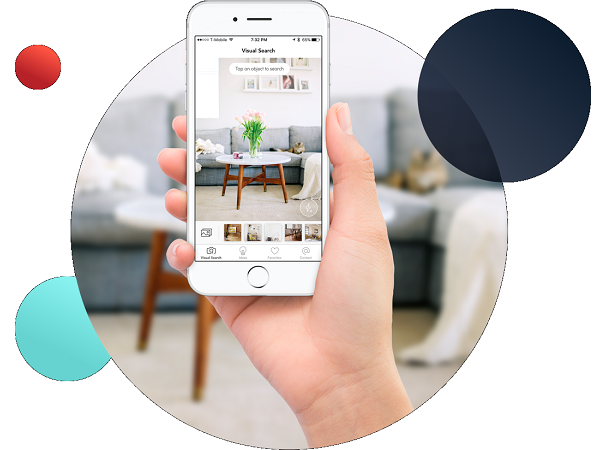 On Friday, the company made a move to beef up those capabilities even further by acquiring GrokStyle, an app that was used artificial intelligence to identify furniture and home decor from a picture. The deal was confirmed to Vator by Facebook spokesperson Vanessa Chan, after having first been reported by Bloomberg. "We are excited to welcome GrokStyle to Facebook," said Chan. While no financial terms of the deal were disclosed, she did mention that, "Their team and technology will contribute to our AI capabilities." Founded in 2016, GrokStyle had partnered with major retailers, including Ikea, which began using the company's technology in its Place AR app starting last year. In a blog post on the company's homepage, GrokStyle revealed that it was "moving on as a team" but did not mention anything regarding the acquisition or Facebook. "We founded GrokStyle to reimagine the retail experience. We built state-of-the-art AI and visual search technology to help consumers readily find, explore, and decide on purchases. We partnered with major retailers, demonstrated revenue lift with our technology, and improved the lives of consumers across the globe. We are incredibly proud of what we have built -- and believe we have only scratched the surface of what is possible with computer vision," the company wrote. According to GrokStyle, while the business will be "winding down," its team and technology will "live on." It also mentioned that it "will continue using our AI to build great visual search experiences for retail." That GrokStyle will continue to work on retail products for Facebook is interesting, as it might mean that the company is looking to develop its own AI-identifying tools. This is something that Pinterest introduced back in 2016, giving users the ability to zoom in on and select objects in a photo posted to the site, which they could then search for. In 2017, the company began allowing users to do the same thing from a photo they took of any object. Facebook-owned Instagram also launched something similar in 2016, introducing new tools to allow retailers to more easily sell their goods via their posts, and for users to find out how to buy them, through shoppable tags. Grokstyle had raised $2.5 million in venture funding from investors that included National Science Foundation, Neuron.VC, Amit Singhal, Luc Vincent, Amino Capital, Krishna Bharat, Red Bear Angels and Canaan Partners. This is already Facebook's second acquisition of the year, coming only a few days after the company acquired its first blockchain company, called Chainspace.